Did you know February is Heart Month? And I’m not talking about that classic shape you see adorning store shelves this time of year; I’m talking the remarkable muscle that’s pumping blood through your body as you read this. The month of February is designated to bring awareness to Heart Disease; the leading cause of death in both men and women and responsible for roughly 25% of the deaths in the United States every year. 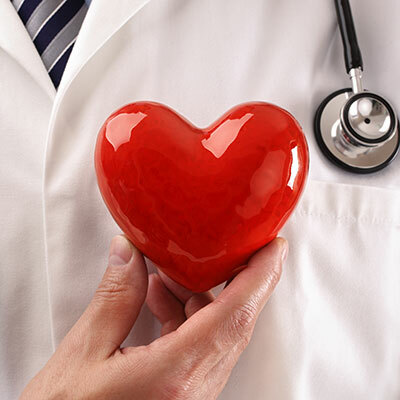 While there is no cure for Heart Disease, the good news is that it can often be treated by managing health conditions and making healthy lifestyle choices. One of the major types of Heart Disease commonly affecting home care patients is Congestive Heart Failure (or CHF). Unlike how the name sounds, CHF does not mean the heart has suddenly stopped, but means that the heart is not working effectively by delivering enough oxygen-rich blood to the body. CHF can be caused by various underlying conditions which may weaken the heart or cause it to become stiffer. For people living with Congestive Heart Failure, receiving care at home can be a huge benefit. The benefits of home care include receiving additional help with daily tasks and the reduction of hospital readmissions. Here’s just a few ways CHF Patients can benefit from in-home care. For those diagnosed with CHF, it’s important to pay close attention to new or changing symptoms. Sudden weight gain, swelling or shortness of breath are signs of worsening conditions and should be relayed to the health care team immediately. With Assisted’s Telehealth Program, patients are instructed in the utilization of monitoring equipment and are in daily communication with their Telehealth team. Patients take and communicate their daily readings for weight, blood pressure, heart rate as well as any other symptoms they may be experiencing. Recent research shows that Homecare is an effective method for reducing hospital readmissions and lowering overall health care costs. Assisted’s ground breaking Enhanced Home Health Program can help reduce readmissions with our frequent patient communication and care coordination. With EHH, a minimum of seven touch points occur in the first two weeks of discharge. Touch points consist of a pre-discharge visit, in-home nurse visits and red flag identifying tuck-in calls. Patients involved in Assisted’s EHH program have seen a significant reduction in emergencies and hospital readmissions. The symptoms of CHF can make what were once simple daily tasks much more difficult to do. For those who need a hand with the daily routine, an Assisted Caregiver can help. Whether it’s handling the meal prep and cooking or simply a little help around the house, an Assisted Aide can provide that extra help right when it’s needed. If you or a loved one suffers from CHF and would like to learn more about Assisted Home Health or the services we offer, call 800-949-6555 or visit us at www.assisted1.com. This article was posted in Caregivers, Home Health Care.